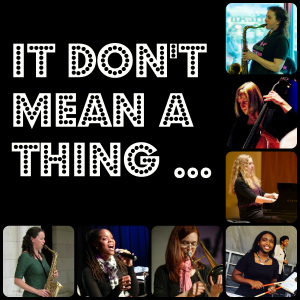 Bullettes Octet to perform at Jazz and Freedom Festival 1/18! 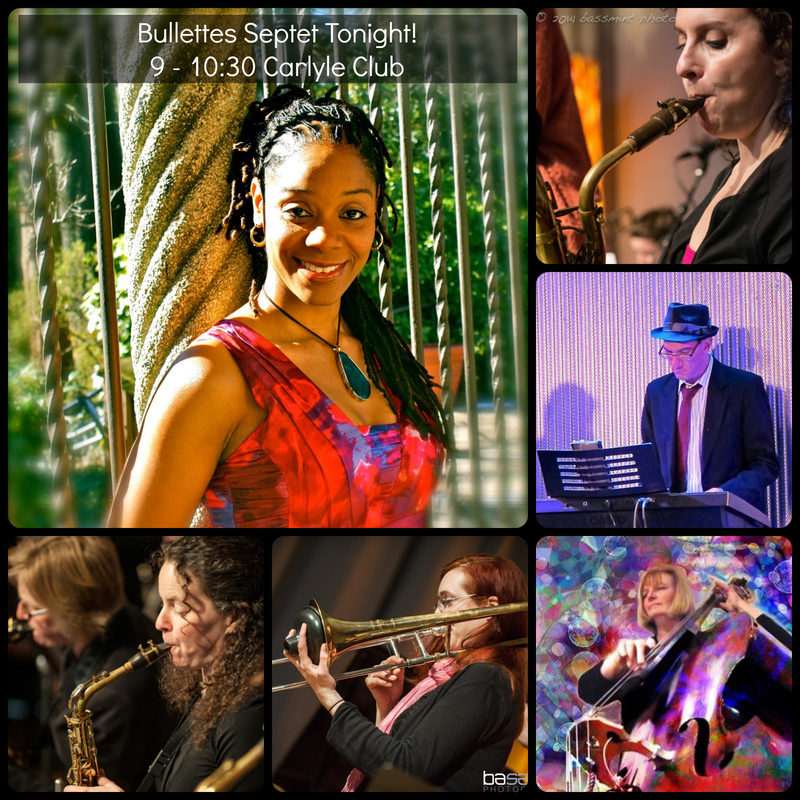 Bullettes Septet Tonight at the Carlyle Club! 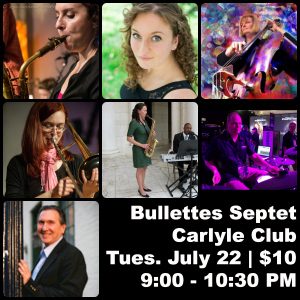 Bullettes Septet at the Carlyle Club June 24! 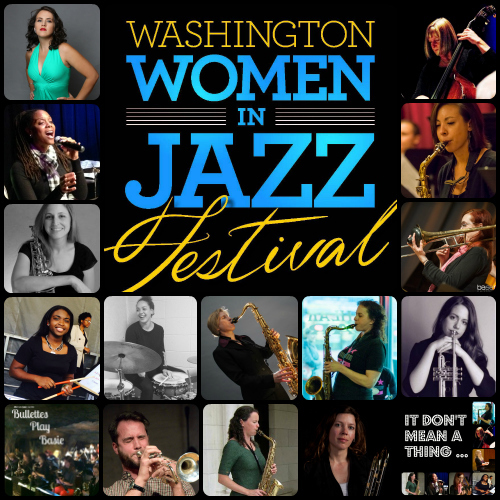 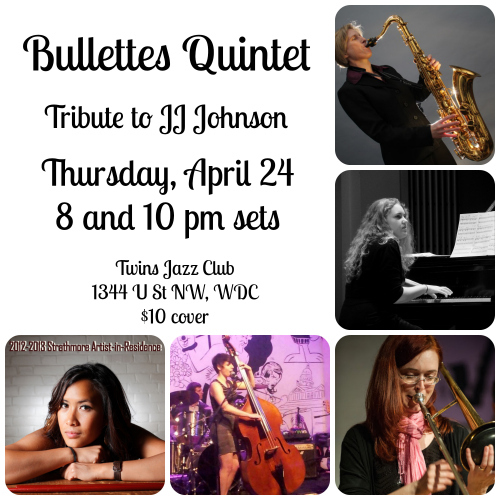 Bullettes Septet at the Carlyle Club wsg Danielle Wertz May 20th!